Your goal is our goal. To build your family. 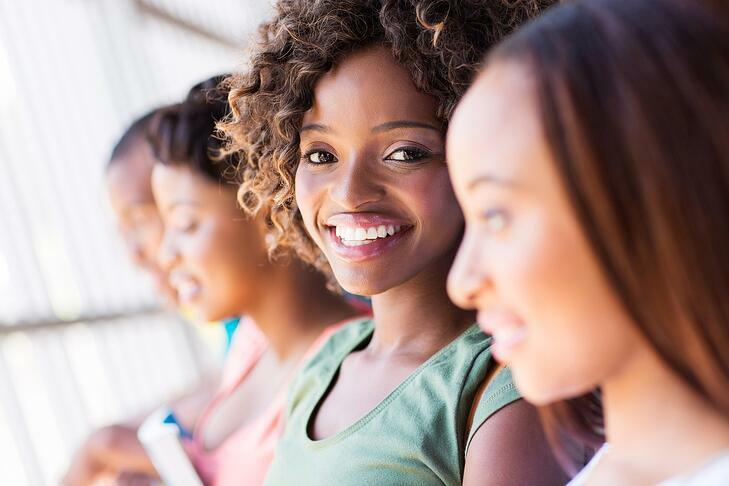 Because of that, Reproductive Medicine Associates of Connecticut (RMACT) is doing it again. We’re moving. This week, today and tomorrow. 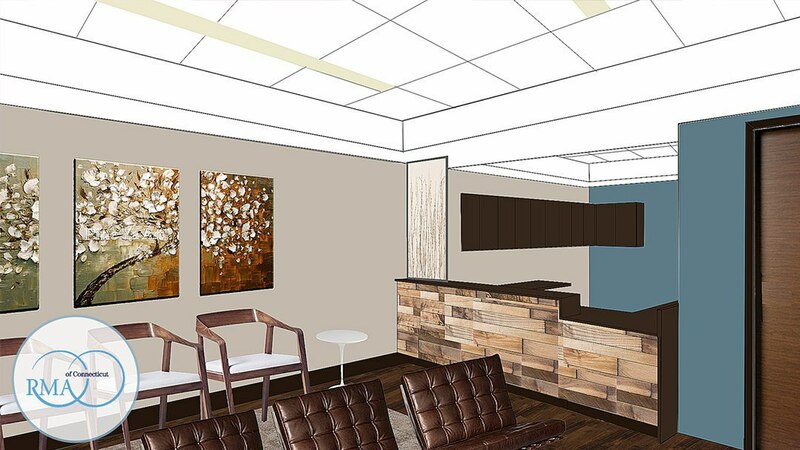 On Wednesday, we will be in a bright, new, beautifully and specifically built space to accommodate and honor our patients and their needs in an infertility program. As always, our fertility patients are our first concern and priority. While our office in Danbury faithfully served our patient community for the last decade, we want to offer more. More space available, constructed just for us, for new Danbury services- in house acupuncture, (coming soon), private rooms for patients to speak with clinicians and their patient navigators, additional space for Ladies Night In, and room for ideas that we haven’t even dreamt up yet! RMACT will have a separate wing for Andrology services, offering additional privacy for our male patients. We don’t just talk about making our patients a priority, we actually do it. Unique to RMACT, you will see a board certified Reproductive Endocrinologist at each visit. That includes each morning monitoring visit during an IUI or IVF cycle. That’s the whole point, isn’t it? To have that level of clinical care while taking the steps to build your family? Isn’t that what you want for yourself? It’s what we want for you. 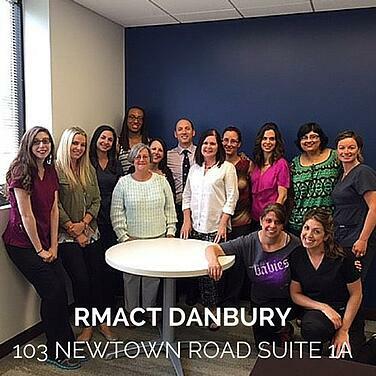 Reproductive Medicine Associates of Connecticut (RMACT) is moving its Danbury office to a modern, spacious location at 103 Newtown Road, Danbury. The new location, which has an additional 2,000 square feet and was designed with a special emphasis on creating a tranquil environment, opens today. It is located directly off of I-84, making it even more convenient and accessible for patients from all over Connecticut, as well as from New York and Massachusetts. This is RMACT’s latest effort to improve our patients’ experiences as they build their family through fertility treatments. RMACT first opened an office in Danbury in January of 2005, and has continued to grow. It remains dedicated to Danbury and the surrounding communities, and is the only fertility practice that has a Board Certified reproductive endocrinologist onsite everyday. Fertility services at RMACT’s Danbury location include diagnostic testing for men and women, infertility consultations and intrauterine insemination (IUI). RMACT’s primary location and its embryology lab are located in Norwalk, CT with satellite offices in Danbury, Stamford and Trumbull. Each office has at least one Board Certified fertility specialist available at each location daily, starting at 7 a.m. for patient convenience. Based on the latest annual clinic summary report from Society of Assisted Reproductive Technologies (www.SART.com), RMACT continues to be a national leader in the fertility field with a live birth rate significantly higher for women under 35 with thawed, non-donor cycles; RMACT has a live birth rate of 66% (84/127) as compared to 44% nationally. RMACT specializes in the treatment of infertility, including assisted reproductive technologies (ART) such as intrauterine insemination (IUI), in-vitro fertilization (IVF), and Comprehensive Chromosome Screening (SelectCCS). RMACT, Fairfield County’s largest fertility clinic and egg donation center, is one of 11 leading In Vitro Fertilization (IVF) centers nationwide chosen by In Vitro Sciences to participate in its Centers of Excellence program. RMACT has offices in Norwalk, Danbury, Stamford and Trumbull, and an affiliate New York fertility clinics serving Putnam and Dutchess counties. RMACT also offers infertility treatment financing and support services, such as nutrition counseling, massage therapy, psychological counseling, acupuncture and yoga, through RMACT’s Integrated Fertility and Wellness Center. The RMACT team includes lead physicians Drs. Mark P. Leondires, Spencer S. Richlin and Joshua M. Hurwitz, as well as fertility specialists Drs. Cynthia M. Murdock and Shaun C. Williams. All five physicians are Board-Certified Reproductive Endocrinologists and are members of the American Society for Reproductive Medicine (ASRM), the Society for Assisted Reproductive Technology (SART) and the Fairfield County and Connecticut Medical Societies. Each has received numerous awards, and all five are Castle Connolly "Top Doctors." RMACT’s IVF laboratory is accredited by the College of American Pathologists (CAP), and CLIA; other accreditations include the Accreditation Association for Ambulatory Health Care (AAAHC) and the American Institute for Ultrasound in Medicine (AIUM). For more information visit http://www.RMACT.com or find us on Facebook. Lisa has over thirty years of experience in the fertility field. After her personal infertility journey, she felt dissatisfied with the lack of comprehensive services available to support her. She was determined to help others undergoing fertility treatment. Lisa has been with RMACT for eleven years and serves as Patient Advocate and the Strategic Content Lead. Lisa is the teacher and founder of Fertile Yoga, a program designed to support men and women on their quest for their families through gentle movement and meditation. Lisa’s true passion is supporting patients getting into treatment, being able to stay in treatment and staying whole and complete throughout the process. Lisa is also a Certified Grief Recovery Specialist, which is helpful in her work with fertility patients. Her experience also includes working with RESOLVE: The National Infertility Association and The American Fertility Association (now Path2Parenthood), where she was Educational Coordinator, Conference Director and Assistant Executive Director. National Conventions & Infertility – Who's On Your Side in Building Your Family?